Please note that this kit includes three batteries. One for the body two for the grip. 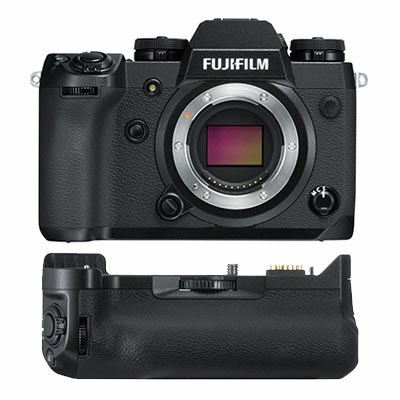 The Fujfilm X-H1 is a natural next step for users of the company's other APS-C CSC models, such as the X-T2. A powerful 24.3MP sensor is at the heart of the X-H1, but with this model's upgrades it is able to get even more out of the camera than its predecessors. 5.5 stops of 5-axis in-body image stabilisation and the Eterna Film Simulation features make this an exciting option for video creators. The kit is supplied with the VPB-XH1 Vertical Power Boost Grip, allowing for up to 3x longer shooting without changing the battery. 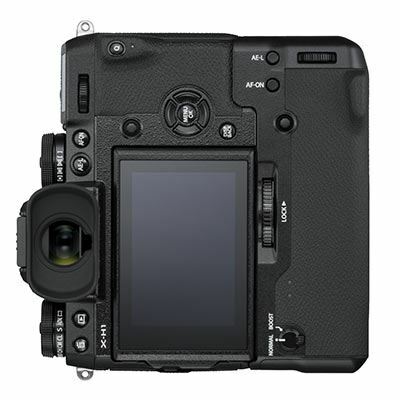 Fujifilm's X-series of cameras has gone from strength to strength, with cameras such as the X-T2 really pushing the brand into the forefront of CSC manufacturer's in the market. 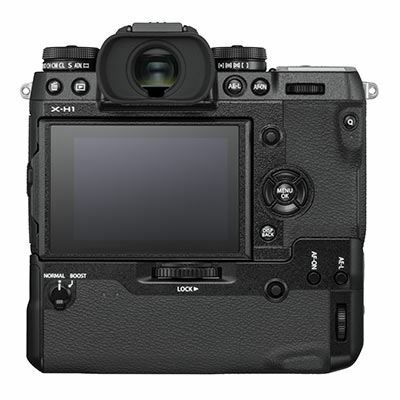 As with most of the recent compact system cameras from Fujifilm, the X-H1 also features the widely heralded 24.3MP X-Trans CMOS III sensor, but with the rest of the upgrades to this camera, it is able to go places that other cameras in this line-up couldn't. •Improved operability: Fujifilm claim they have made 19 modifications to the camera's design based on customer feedback, including a larger grip, easier access to the shutter release button, and a quieter shutter, improving its appeal to photographers who primarily shoot in situations that require silence, such as weddings or film sets. Phase-detection autofocus has been improved allowing users to use the feature in situations where light is up to 1.5 stops darker. The minimum aperture range has also been expanded from F8 to F11, allowing users with teleconverters to use AF in more situations. There have also been major updates to the camera's autofocus system when zooming.